Everything is riding on your RV tires, literally. Your trailer tires carry the full weight of your investment. They also preserve your life and the lives of your passengers. This is why you need to know how much air is in your tires before you head out for your trip, and before you return. You also have to have the ability to fill your camper tires to the right pressure if they are low. 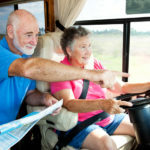 As important as these things are, they can get overlooked by RV owners excited for their big trip. 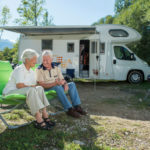 Signal Connect offers you these three basic tips to help you maintain your RV tires. 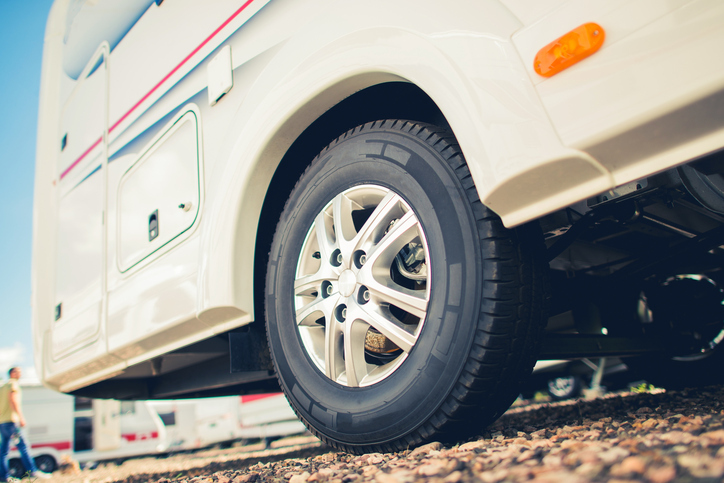 Before you head out in your RV, your tires must be equally inflated. You also have to inflate all your motorhome tires to the correct levels. If you don’t take these precautions, you could experience a blowout while your driving. This could cause you to lose control of your RV. It could flip over, sideswipe other motorists, and/or careen off the road. Yes, the picture we painted above isn’t a pretty one. That said, we can’t gloss over the dangers that come from poorly-inflated RV tires. That wouldn’t be doing you or other RV owners any favors. Neither would be warning you of the dangers but not sharing ways to help you prevent them. Fortunately, we have the information you need to keep your RV tires properly inflated. 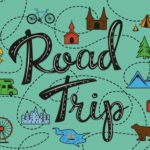 These three motorhome tire tips will help you stay safe on your next trip. You know how to fill your tires, but do you know the exact amount of air each needs? We’re talking about pounds per square inch, or PSI. If you don’t know how much PSI is the maximum for the each of your camper tires, you could over- or under-fill each tire. As we mentioned above, uneven air pressure in your tires can lead to blowouts, which often results in accidents. Most veteran RV owners know the correct PSI for each tire, but some people who are new to the RV life might not. Signal Connect is here to help. Have you noticed the words etched into the outer walls of your tires? This manufacturer data lets you know about the tires you drive on. For the purposes of this tutorial, the information we’re looking for is the maximum inflation pressure for each tire. This is typically found on the inner ring of words that appear just above the rim. It would likely read “max press 35 PSI.” If your tire says this, you must fill it tire to 35 PSI. Any less or more runs the risk of blowout. How do you measure tire pressure? That information is in point No. 2. There’s nothing wrong with using a manual tire gauge. (Many of us old schoolers first used them to measure the PSI in our bicycle tires.) The only downside to a manual gauge is that you have to walk around your RV, bend down, and measure each tire. If you don’t want to do all that, a wireless tire gauge system might be your solution. It delivers a digital readout of each tire’s pressure, which can be read on your dashboard display. This system will cost a bit more, but it could be well worth it. Do you think you can just fill up on air using the compressor at a nearby gas station? Think again. Many of these air compressors practically dribble out air in short bursts of one to two PSI. Then the system needs to recharge itself before its next weak release of air. Not only does this take an exceedingly long time, it can cost a lot of money, especially if your tire is very low. The only upside to many gas station air compressors is that some measure the amount of air in your RV tire. It also lets you program the max you want to put in. Here’s another problem with gas station pumps: availability. Pulling your RV into a small gas station parking lot is hard enough. It would be worse if you have to wait for someone to top off each of their tires with one of these slow machines? That could cause a lot of problems. Another issue is water in the lines. Some gas station pumps have water in the lines. This cant get injected into your tires and rots them from the inside out. You don’t want to keep replacing your tires sooner than you need to. We recommend RV owners to get a portable air compressor, also known as an RV air compressor. These devices are rated for a PSI of 150 lbs. This is strong enough to inflate tires that hold up the weight of your RV, camper, or motorhome. These devices are also relatively light and easy to store. It makes it easy to fill your tires before you leave home, and before you return. It’s also great for inflating rafts, inner tubes and other water toys needed for trips to the lake. These three tips can help you keep your RV tires properly inflated before you hit the road. Keep in mind that we didn’t discuss tire condition, balance, and rotation. As an RV owner, its up to you keep track of when you’re camper tires need to be rotated and replaced. Your RV dealer will have this information when you purchase your recreational vehicle. Your tire supplier will also have additional information they provide in a pamphlet. Be sure to pay attention to these important details before you head out. Some RV owners focus on what they need for their vehicle that they forget about those things they want. Such is the case with DIRECTV. Many owners don’t even realize they can have this in their motorhomes. You can, and we highly recommend it. Watching your favorite shows is the perfect nighttime activity for any RV trip. Best of all, DIRECTV’s satellites send this signal all over the U.S., so you’re bound to get your shows wherever you travel. Would you like to know more about DIRECTV for RVs, campers, and motorhomes? Signal Connect can help. We’re an AT&T Preferred Dealer that specializes in delivering satellite TV to recreational vehicles. Chances are good that you’re probably new to all of this. If so, that’s okay. Our reps won’t plan your DIRECTV installation before you’re ready. Right now, they just want to talk to you and answer any questions you might have about DIRECTV for RVs. If you want to know more, give us a call at 866-726-4182. 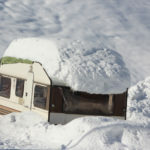 This entry was posted in RV and tagged camper, Equipment, motorhome, RV, safety. Bookmark the permalink.